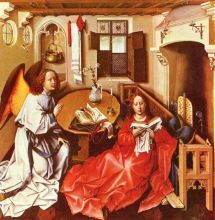 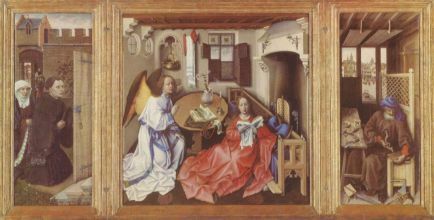 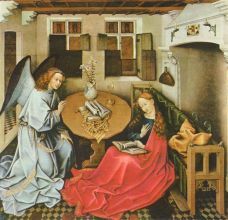 Robert Campin (ca. 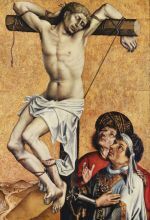 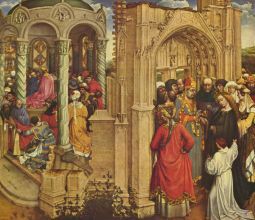 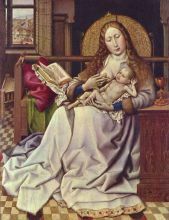 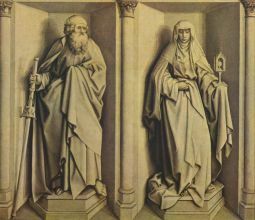 1375 – April 26, 1444), now usually identified with the artist known as the "Master of Flémalle", is usually considered the first great master of Early Netherlandish painting. 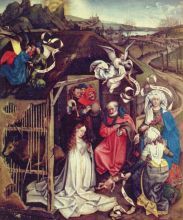 This had been a matter of controversy for decades; Campin's life is relatively well documented for the period, but no works in assessable condition could be securely connected with him, whilst a corpus of work had been attached to the unidentified "Master of Flémalle", named after the supposed origin of a work.